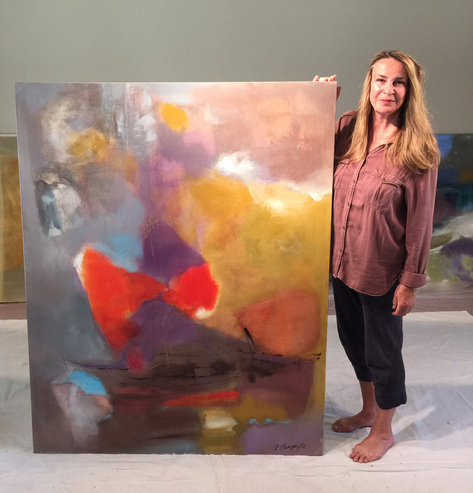 Abstract artist Anne Leveque dedicates all her exhibits to her grandfather, watercolorist William Diehl, who imparted his knowledge of art to her. 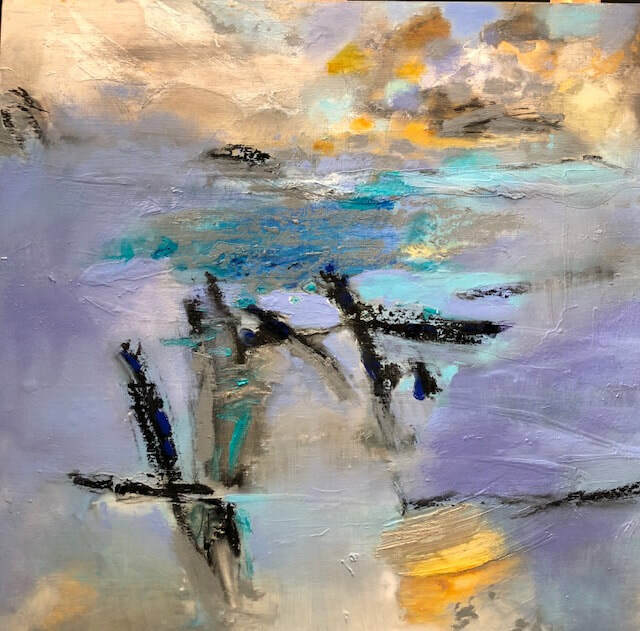 After absorbing her grandfather’s wisdom about color, space and image, she felt no need to take outside art classes and studied to be a veterinarian at UCLA where she earned several master’s degrees in science before coming back to art and becoming a world traveler. Leveque, who moved to Napa a year ago, has lived outside the U.S. for the past 24 years. Colors and impressions from Africa, Vietnam, Laos, China, Sri Lanka, the Caribbean, Hawaii, India, Patagonia, South America and Canada streak across her canvases. She has been artist-in-residence at Banff Centre for the Arts and Creativity. In addition, her work has been shown at the Rotunda of the Hong Kong Stock Exchange and other galleries in Asia where she lived while traveling the region. Leveque is pleased to have met many talented artists here who have welcomed her into the Napa art community. In particular, she said, she values the critiques of local artist Theo Becker. As fond as she is of Napa, Leveque maintains a strong connection to Thailand, where she lived for nearly 10 years and owns her home. Although she discovered many delightful corners of the globe since she began traveling in 1965 — and even formed her own travel agency called the Golden Fish Travels in 2002 — Leveque said she felt most at home with the Thai people. She has a deep appreciation for the way her Thai friends “look you in the eye and deeply connect with you,” and also for the importance they place on living artfully. 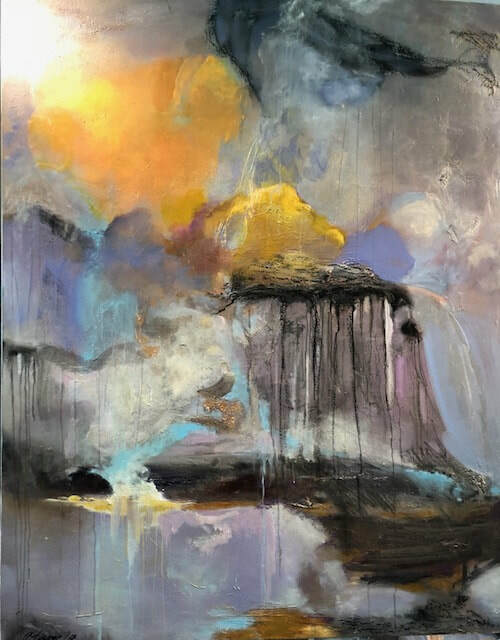 In her immaculate, spacious Napa studio, Leveque applies oil paint to her canvas with an exceptionally large brush, which she purchased in Hong Kong. “Nobody believes the size of this brush,” she said with a laugh. “The feeling of painting is like the first wind catching the sail of my boat and in this very instance of the wind — or brush — the day has instantly changed and the wind is at my back,” she said. As she works for four-to-five-hour stretches, Leveque is totally focused. Afterward, she is completely exhausted or exhilarated, sometimes experiencing both feelings at once.